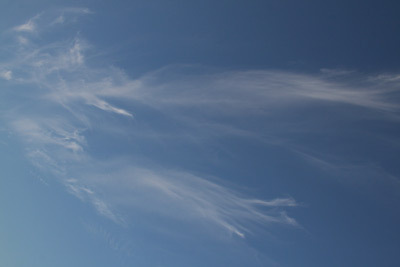 Some days you walk outside, look up and think WOW. This was one of those days. 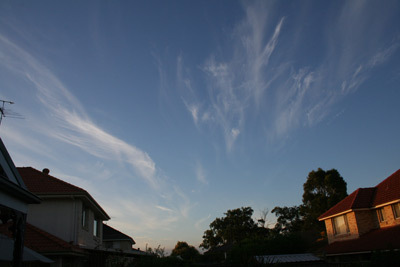 I don’t think I’ve ever seen clouds so delicate with fine tendrils reaching across the sky. 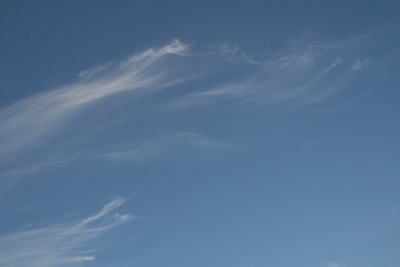 Cirrus clouds are thin, wispy clouds which form at the upper layer of the atmosphere and are composed mostly of ice crystals. They are blown by high winds into long streamers. They generally mean fair to pleasant weather. I’d say I’m more aware of the good old white fluffy ones you see below. I think that comes from childhood days when I used to lie on the grass and watch the clouds changing shape as they rolled by. What a variety of animals, birds, insects, objects and people I could find! 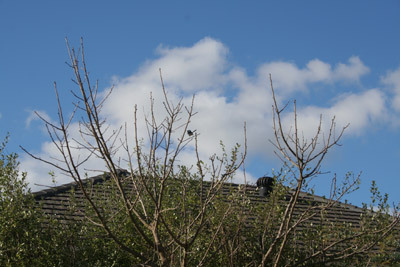 I don’t think I’ve cloud watched like that since my own kids were little. 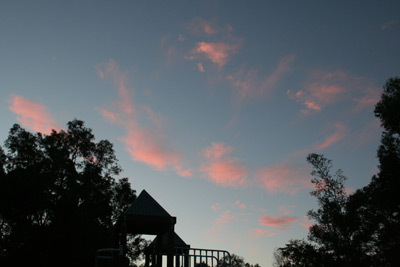 Another favourite cloud picture – Pink clouds as the sun set over the local park playground.